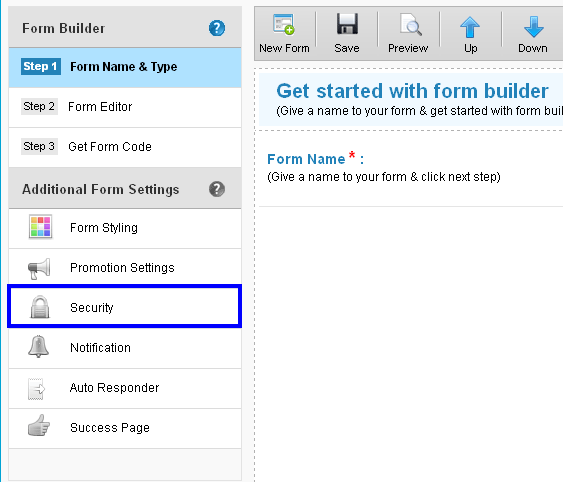 The Security settings allow you to customize the security options to ensure complete protection of your form and privacy of the information. 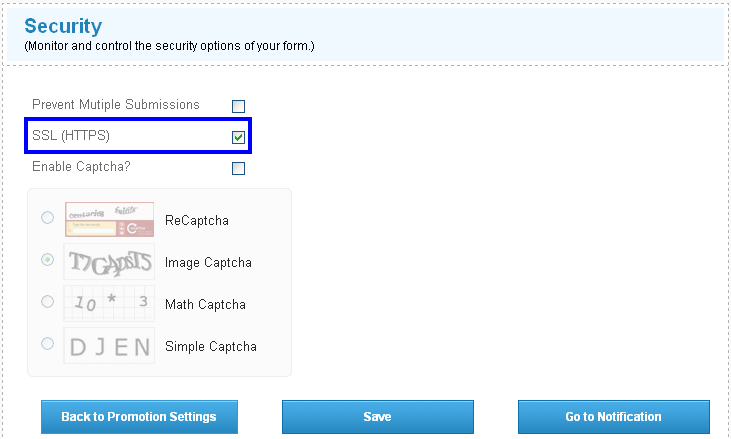 1) Click on Security in Additional Form Settings. 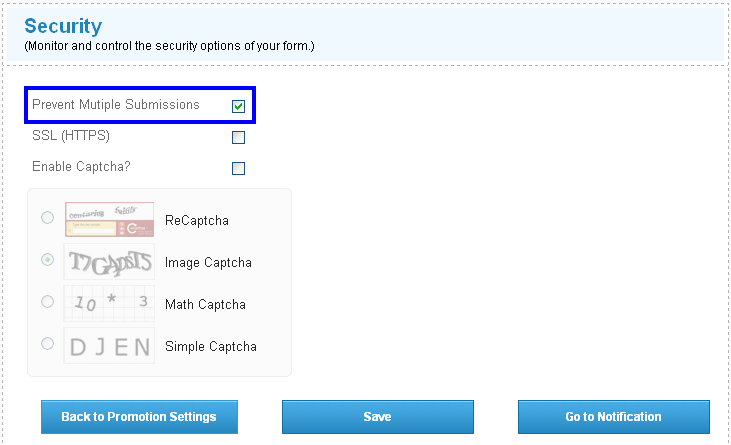 2) Click on Prevent Multiple Submissions, to limit a single form submission per user. 3) Click on SSL (HTTPS) to activate HTTP Secure Protocol for the Form Submissions. 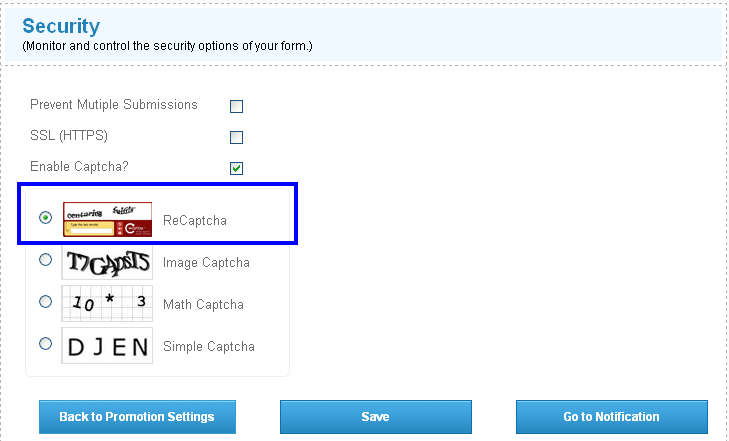 4) Click on Enable Captcha to activate Captcha Spam prevention. 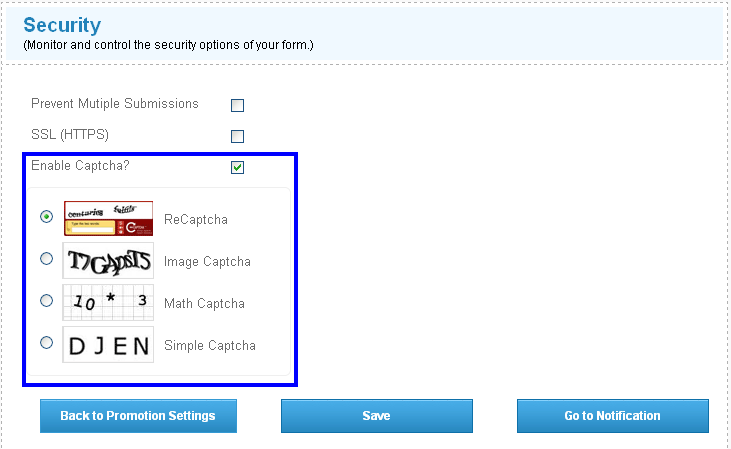 You can choose from Recaptcha, Image Captcha, Math Captcha or SimpleCAptcha options for security. 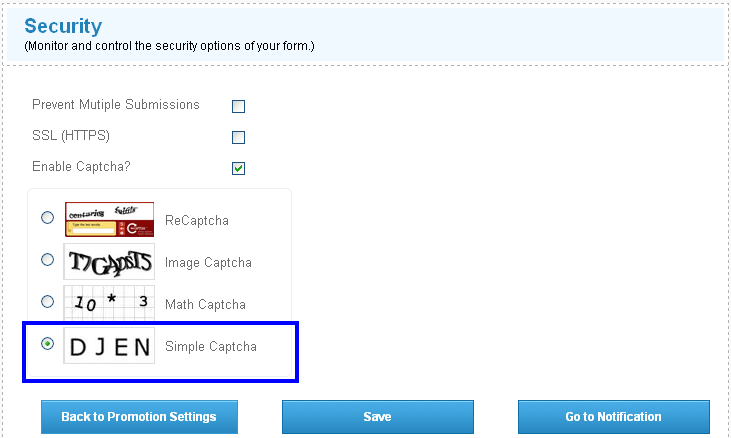 Recaptcha – Issues a double Captcha to offer security. 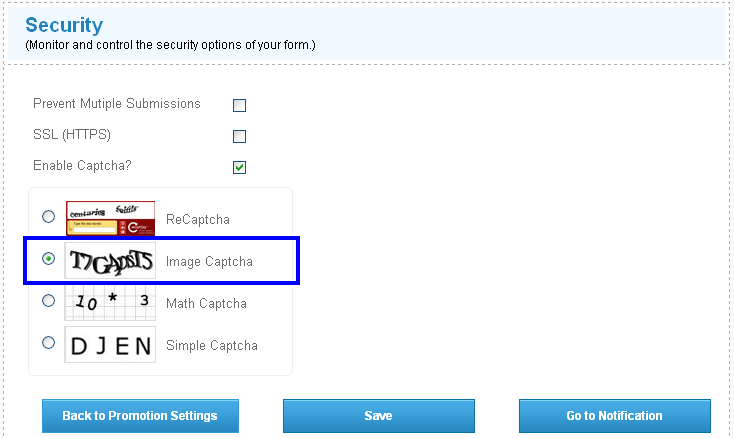 Image Captcha – Offers an Image for captcha confirmation. 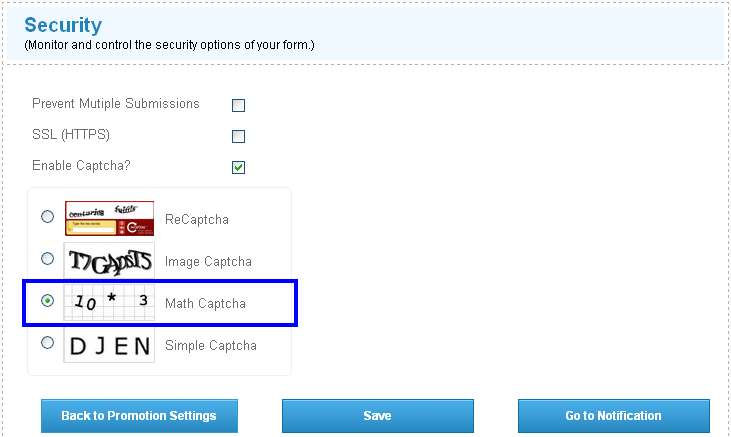 Math Captcha – Includes numbers in the confirmation format. 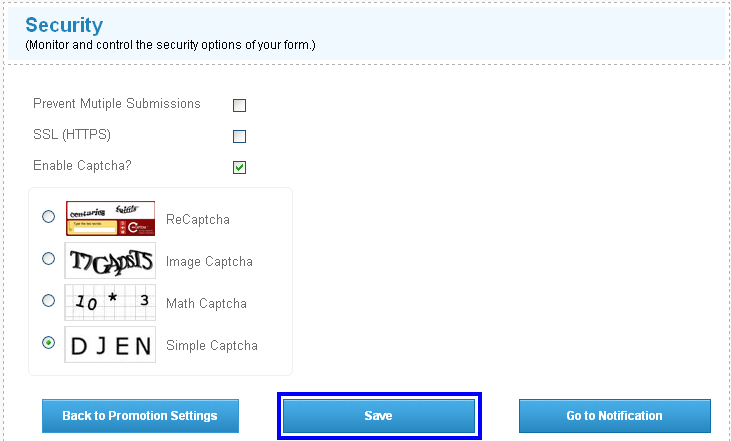 Simple Captcha – Simple collection of alphabets for the Captcha confirmation. 5) Click Save to verify the changes made to the security settings.